IMPORTANT! 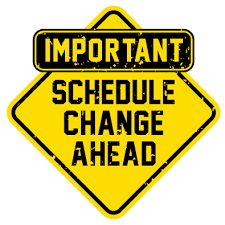 Due to the missed day for our water main break, Friday, October 19th is now a Minimum Day. Students will be in school from 8:25am - 1:10pm. Parent/Teacher Conferences will continue that afternoon.